Braxton Miller has announced his decision to stay with the Ohio State Buckeyes as he returns from injury, adding to the logjam at quarterback with J.T. Barrett and Cardale Jones. “I look on the internet, and I see things forever on my timeline – Instagram, Twitter – that had me transferring to all types of different schools and stuff like that,” Miller said. “It was kind of a big controversy at the time but, you know, I had to keep my head on straight. 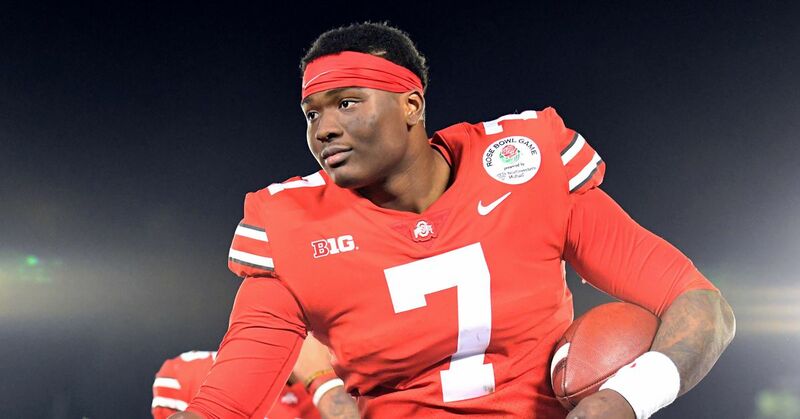 After missing the 2014 season with a dislocated shoulder that required surgery, Miller's starting spot on the team for the 2015 season is hardly guaranteed at Ohio State. Successful check up/visit w Kevin &amp; Andrews! 😁. In response to a question from The Dispatch about what it means for his future, Miller wrote back that he expects to announce his immediate plans next week. As a recent graduate, Miller has the option to transfer and play elsewhere immediately for his final season; though Meyer and others have said they expect Miller back, he has never formally announced his intentions. Miller was a Heisman Trophy candidate before the 2014 season after throwing for 2,094 yards and 24 touchdowns and rushing for another 1,068 yards and 12 scores in the 2013 season. Interestingly, Barrett's father said recently that he felt Miller should get the starting job back because he only lost it to injury, and that he didn't want to see his son get a starting position because of someone else's misfortune, according to the Columbus Dispatch (via Yahoo Sports). Of course, that decision will ultimately come down to head coach Urban Meyer.